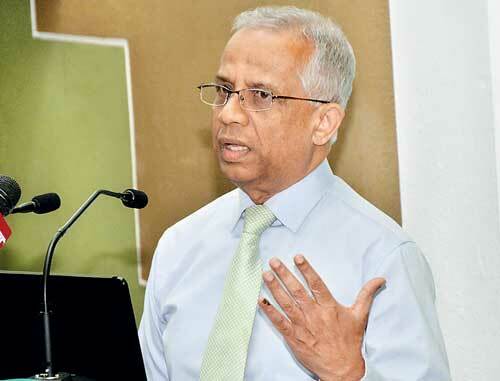 The latest free trade agreement (FTA) signed between Sri Lanka and Singapore will hopefully come into force by 1 April, if the two government agencies manage to exchange the diplomatic norms before the end of this month, a top official said. “We hope that once the diplomatic norms or the formal communications are exchanged between the two countries, the FTA will come in to force on the first day of the second month. We are hoping to do it before 28 February,” National Negotiation Team Chief Negotiator K.J. Weerasinghe told at a seminar titled ‘Expand Business Opportunities through Sri Lanka-Singapore FTA’ organised by the Ceylon Chamber of Commerce last week. Pointing out that the official agreement was signed on 23 January, he sounded rather sceptical about the date the FTA will actually come in to force. “The diplomatic norms need to be exchanged and formal communication needs to be exchanged for the FTA to come into force. If we manage to complete this before end of this month, then the Sri Lanka – Singapore FTA will come into force on 1 April — it is a good day but I don’t know,” he quipped. When inquired from the Development Strategies and International Trade Ministry, it was pointed out there are still some procedural requirements that need to be addressed. “There are some important procedural requirements that need to be completed before finalising the FTA. We hope this could be addressed within a week’s time,” a top official of the Ministry told Daily FT on conditions of anonymity. The Daily FT learns that Development Strategies and International Trade Ministry, Industry and Commerce Ministry need to complete the procedural requirements, which will then be forwarded to the Cabinet and finally to the Parliament for approval. Thereafter, the Foreign Ministry will formally communicate it. “Some of these regulations are critical before ratifying agreement. The kind of regulations is entirely for the benefit of the local businesses and industries,” the sources said. Weerasinghe also pointed out that the much delayed anti-dumping bill will hopefully be taken up on 23 February (Friday) at the Parliament. “Another issue we had before entering into the Sri Lanka – Singapore FTA was the anti-dumping bill. We were expecting that the anti-dumping legislation will get through Parliament as scheduled on 11 January but it did not due to various issues raised by the opposition MPs. I think some of the questions that were raised were clearly answered and now it is scheduled to be taken up on 23 February. We expect it will go through and get passed,” he added. When asked if the initial agreement signed between Sri Lanka and Singapore was available to the public, Weerasinghe emphasised that the formal reply has to come from the Development Strategies and International Trade Ministry. “Once the final agreement is formally communicated, a copy of the FTA can then be given to the Cabinet, line ministries and will be uploaded online for public reference as well. People are being speculative that it is not available for public because there is something fishy. But I want to assure that there is nothing to be hidden. It will soon be available for all,” he stressed.